Hybrid Camera Revolution: Tascam DR40 4 Channel Digital Recorder 15% off at Amazon! 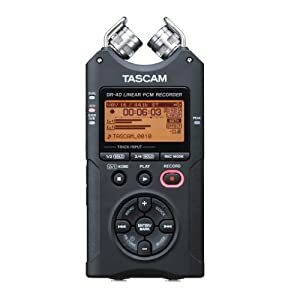 Tascam DR40 4 Channel Digital Recorder 15% off at Amazon! Amazon special offer on the Tascam DR40 portable 4 track digital recorder. I just scored one of these 'H4N killers' for $161.38 (regular price $189.96 - a 15% discount). Discount is credited at checkout. That's only $60 more than I paid for my Zoom H1. They won't last long at this price. Get 'em while they're hot!